Guided by a relentless series of samplings and tastings September has arrived and we pause for a moment to breathe, just like our grapes, we all need a little September air. 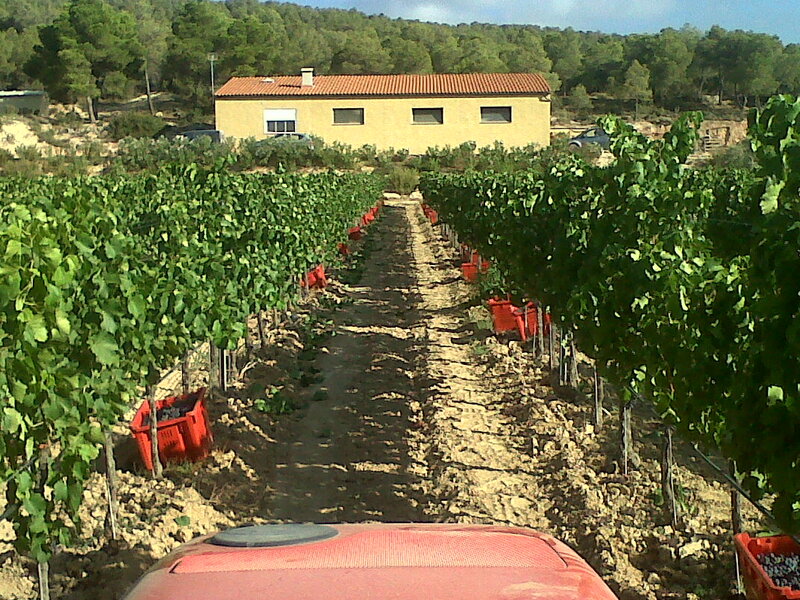 Because the harvest was really more complex this year we have now come to this long awaited month where the temperature drops a little, the sun is warm during the day and the cool night air brings the masters touch. 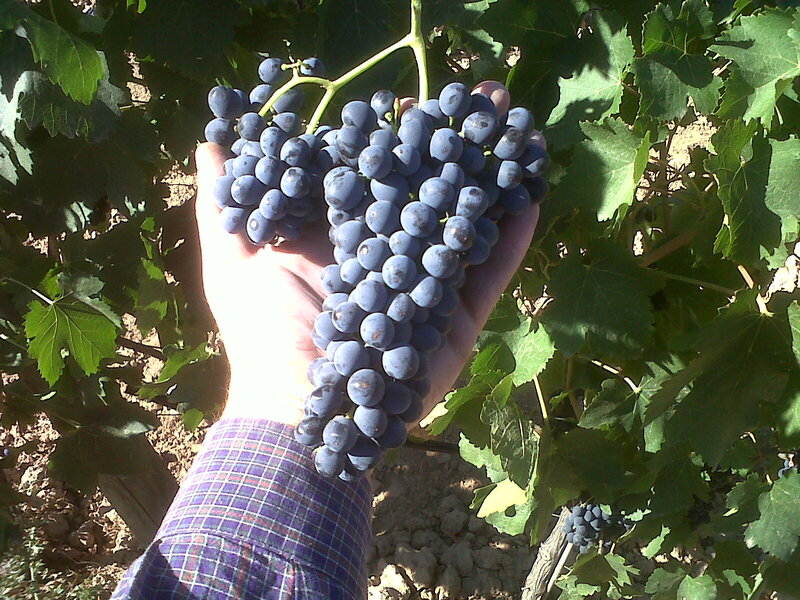 The maturation of the early varieties of the red grapes is filled with a charge of emotion and makes me believe this harvest is going to be really interesting. 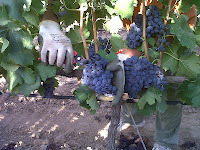 The first to be harvested is the Merlot. The land is fully exposed to the fresh winds of the September nights. The grapes are swollen,the skins and seeds so sweet and the pulp is fresh which gives you a perfect balance when the time comes to harvest. We are at the beginning of September, the sun in the middle of the day is still warm so we want to bring the merlot into the wine cellar as quickly as possible. 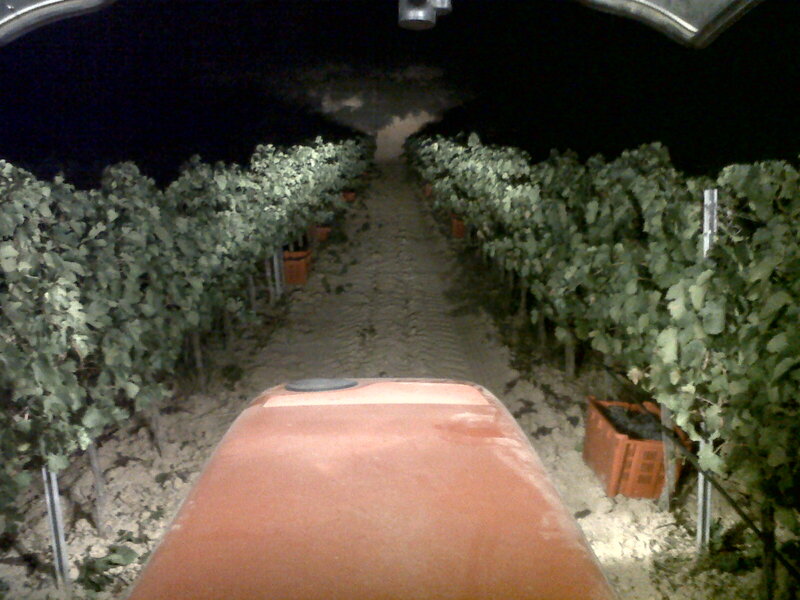 Still exhilarated from our Notte Bianca harvest we don't put to sleep our "mental lanterns" and pick the grapes during the night. 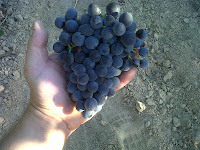 At sunrise we let the whole grapes of our merlot begin to ferment. 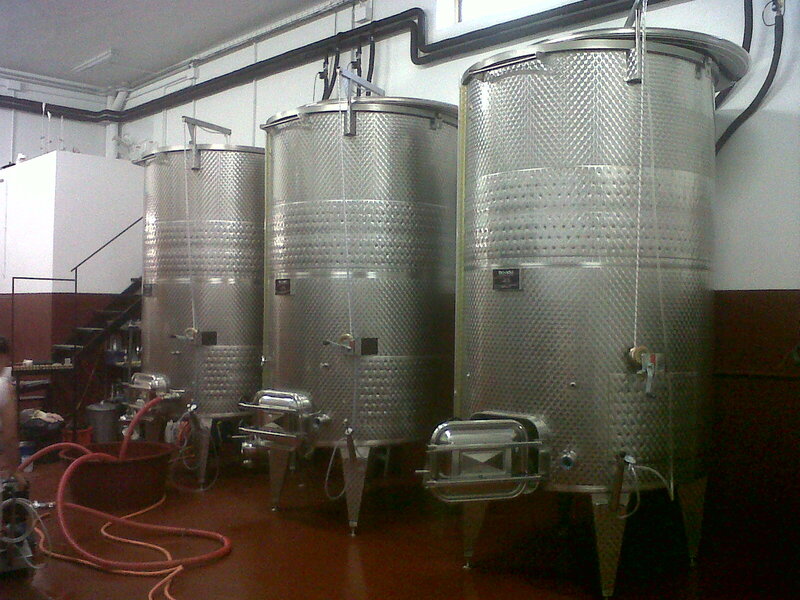 Frequent replacements and strict temperature control drive the fermentation of the three clones of merlot into one. 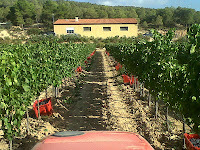 As we continue to taste the grapes day by day the weather keeps gradually changing. To give you an idea we walk between the lines in long sleeve shirts until at least noon. The warm sun kisses the clusters of grapes which breathe in the much desired September air. In the Garnaxta Negra section, next to the olive trees and oleanders the beautiful parcels are exposed to the winds from the southwest. 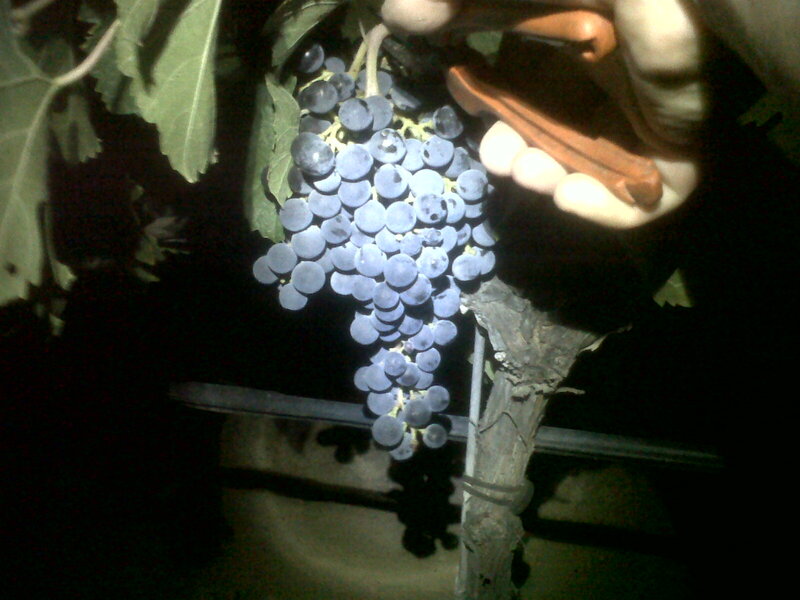 We expect the thick skin of these grapes to relax a bit and ensure the seeds start to lose their green tanning. I believe the current results are fantastic! Now we are in to the serious side of September, where we pick up our Garnaxta early in the morning until the sun leaves us in the afternoon. From here we move straight into the cellar to try and work the three clones to ensure the skins can transmit to the wine all the flavours of the red fruit that the vineyard has given away. Replacements away from excessive oxygen, short maceration and correct temperature ensure that every morning when you walk into the cellar and first open the door you are filled with the aroma of succulent fruit! I find it is just as exhilaration as waking up to your first coffee in the morning. In the valley, in a field with a high context of silt and chalk, our Syrah plants are grown in Gouyot. 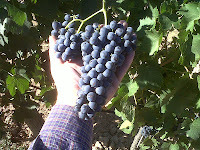 They are tireless under the sun and are caressed from the warm breeze of the night from the southwest which helps to ripen the grapes with an appearance of perfection. They suffered a bit more in the heat of the summer but we have helped them. 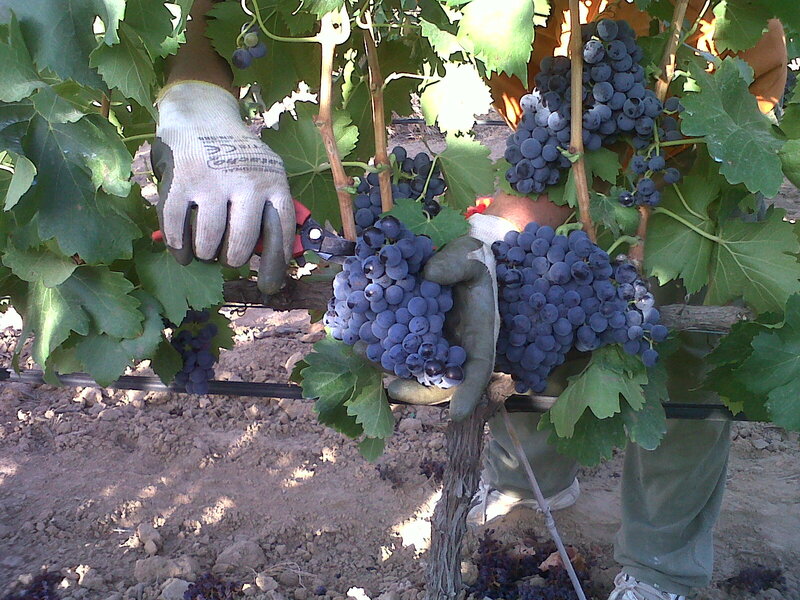 We thinned the vines in July so that there was a vegetative-productive balance during the maturation which leads to the harvest of ripened grapes. The best part is we succeeded! The three clones of Syrah have responded well and the grapes consist of sweet tannins with a bit of spice and the colour intensity of the skins is just phenomenal! 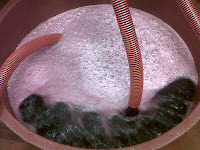 Working the Syrah vat during fermentation has been a struggle previously due to staining. What happens is that a few hours from the grapes being destemmed the colour of the juices is purple and replacement after replacement the reflexes just turned more and more blue. It is incredible. After a short maceration it is time to extract all the varietal characters from our grapes. 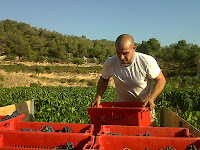 One by one we racked our variety with a very gentle pressing. Three lands... three varieties... each with three clones... three vats with three different wine making protocols, each variety is interpreted differently and respectfully. Three souls, three interpreters of the whole cycle from planting to pressing all the way to the vat!